Skamania are a Steelhead Strain that run the rivers usually during the summer months, from June through September. 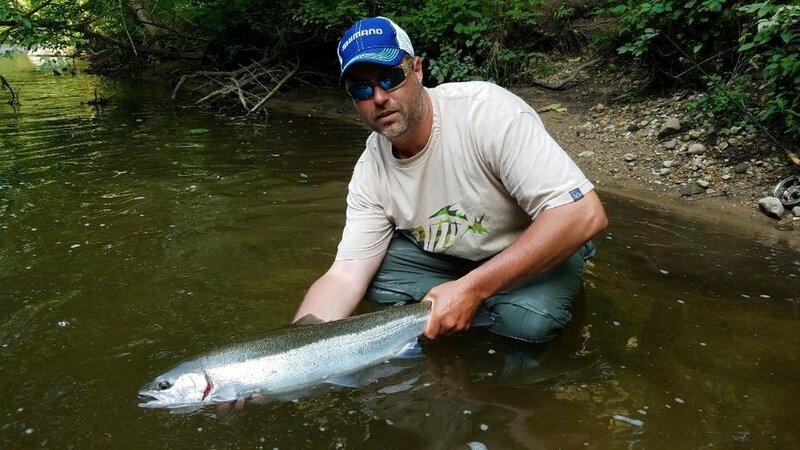 They are among the hardest fighting fish that Michigan has to offer. Skamania Steelhead go absolutely crazy when hooked, they are very acrobatic and take long runs before wearing down. We use light spinning tackle to catch Skamania and if the fight of one of these monsters does not do it for you then I do not know what will. 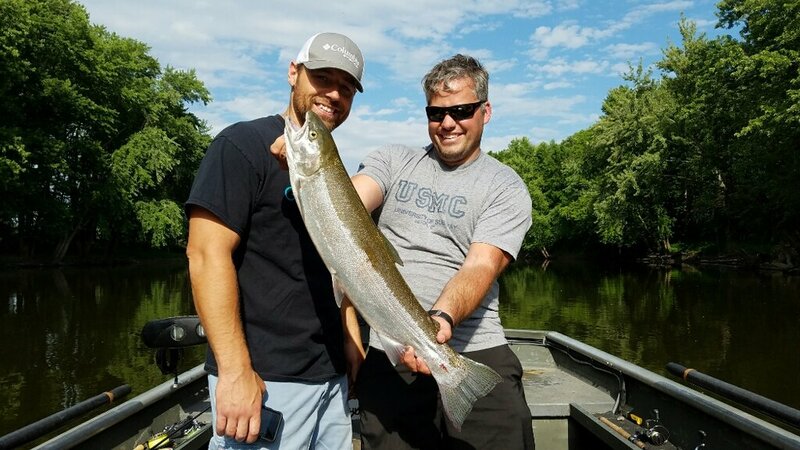 These fish can be caught trolling in lake Michigan, off from the piers along the Lake Michigan shoreline, as well as in the rivers here in West Michigan. Getting Bit Guide Service offers trips for Skamania in the area rivers such as the St. Joe, Grand River, Big Manistee, and others. If you are looking for a pier Skamania and King Salmon fishing trip we also offer those on some of the West Michigan piers.